SOMOS ARQUITECTOS PUBLICATIONS: DETAIL SPANISH EDITION. 123 SOCIAL HOUSING EMVS IN MADRID. VALLECAS 51. DETAIL SPANISH EDITION. 123 SOCIAL HOUSING EMVS IN MADRID. VALLECAS 51. SOMOS.arquitectos published in DETAIL, 2009, n. 6. 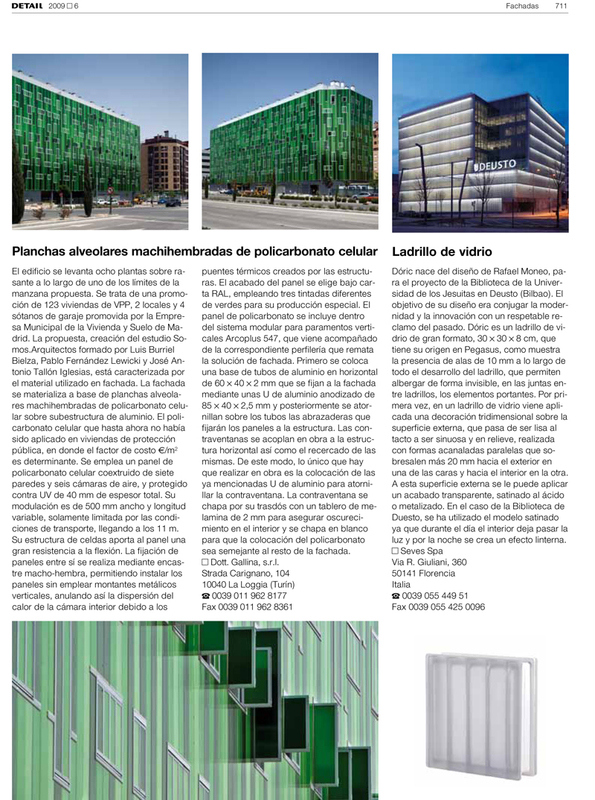 An special issue about new façade materials, including an article about 123 social housing units in Vallecas 51 (Madrid) and its open celled polycarbonate panels.